Could Rusev Possibly Leave WWE? Rusev took to Twitter his thoughts about being removed from a match with The Undertaker in Saudi Arabia. Fans are now starting to wonder if there is a reason behind the change in his Twitter profile and associations. JJust this past month, it was announced that the WWE will be having a 50-Man Royal Rumble event in Saudi Arabia. Aside from the aforementioned main event, every championship will also be on the line. It was also announced that the Undertaker will be making another appearance as he is scheduled to face Rusev in a Casket Match. Former WWE Divas Champion Michelle McCool, the wife of The Undertaker, was not pleased with Rusev's comments. She then tweeted her displeasure of the comments made on her husband. It didn't take long for the WWE to find out about the interview thus making changes to the scheduled match replacing Rusev with Chris Jericho instead. The WWE also removed Rusev Day chants from its Smackdown YouTube channel without any explanation as to why they made those changes. Did Lana have a hand in these changes? Rusev’s wife, Lana sent out a tweet on the same day the TMZ interview was released stating her concerns about her husband competing in the casket match. She indicated that she spoke to WWE officials to have the match changed as she didn't want her husband to compete in a Casket Match. Whether Lana's statement is true or not, it does not look like it was for the better judging by the changes the WWE made in the match. Concerns started to pour in for fans when Rusev would then change his profile picture on Twitter as well as delete any reference to the WWE. Fans are starting to wonder if there is something happening with Rusev backstage that they ought to know. Is Rusev leaving the company then? Rusev has not seen himself in a relevant role since losing the United States Championship he once held whilst on an undefeated streak. 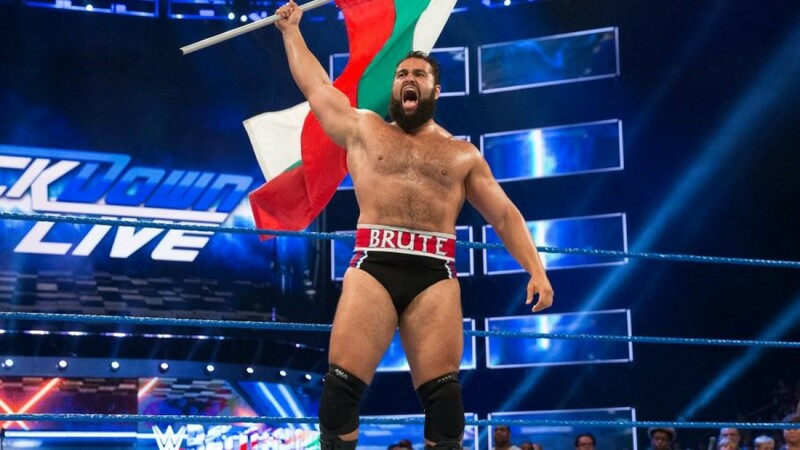 Rumor has it that Rusev has once asked for his release which resulted in him being added to the United States title match in this year's WrestleMania. If this were true, this might be the WWE's way of showing that they see Rusev as an asset to the company despite poor booking lately. Rusev's displeasure with being booked in the said match in Saudi Arabia might stem from the fact that the company's top star John Cena was booked to get squashed by The Undertaker at Wrestlemania. The Bulgarian Brute might have seen this as a form of career burial which is why he voiced out his thoughts so loudly. Is Rusev on his way out of the WWE? The company denied this allegations by stating to the media that those rumors are not true as he is still with the company and he will be competing in the 50-Man Royal Rumble in Saudi Arabia. With all this in mind, it's safe to conclude that Rusev may not be going anywhere anytime soon. Although the exact reason as to why WWE took Rusev out of the match is still unclear, it most likely was not because of the TMZ interview. Though Lana’s concerns and Michelle McCool’s reaction may be contributing factors, there has to be a bigger reason we all are yet to find out.